Colaba Point | OK Listen! Conjuring images of times forgotten and latent hours of indulgence, Colaba Point's music makes for easy listening often resorting to intermittent psychedelic explorations. Initially started as a jam band, the outfit has so far released three albums, the latest being Future Flashbacks in 2015. The band also released a live experimental EP Spring Time Blacks in 2013. Their first self titled album generated quite an interest amongst the small audience it was exposed to with the song Certain Days being featured on ennui.bomb’s Stupiddities V compilation. 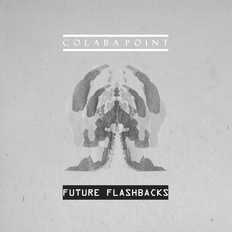 On the basis of these recordings, Colaba Point was also one of the 5 featured bands from Mumbai on SoundCloud Local Mumbai edition on the popular music sharing website. The band won The Best of AV MAX award in 2012 in the Indian album category in Network 18’s AV MAX magazine for their album Mildly Idyllic. 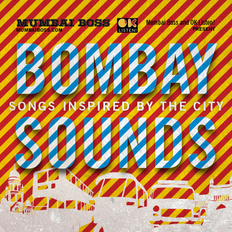 The track Traffic Jam from the same album was featured on the Bombay Sounds compilation released by OKListen and curated by Mumbai Boss. They were MyOpusRadio’s Big Fish or featured artist of the month for May 2012. "Listening to Colaba Point's sophomore album 'Mildly Idyllic' is like staring at the sky trying to decipher the myriad shapes among the clouds - it's relaxing and simulating at the same time. The music is experimental and ambient without seeming to be pretentious. All in all, a very good album for long drives at night or when you are just relaxing at home after a long day at work." "Mildly Idyllic is the kind of album that will always play in the background, will never scream for your attention, but will, without your realizing it, become your friend. And in this day and age, with everyone trying to be louder, and brighter than the next guy, that is a rare find indeed." "Right from the variety in concepts, i.e. 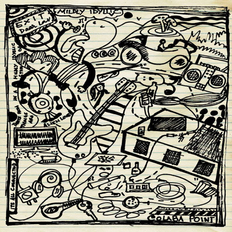 singing about an imaginary friend or Mumbai traffic to the mood, Colaba Point’s music is fresh and promising. So grab a hot cup of coffee, lay back and let the music take you on a soothing yet thoughtful journey of melodious music." "This is not music in which to engage whilst chasing shots, rather to imbibe with a long drink to hand. Not an out-fit that seeks to travel anywhere near the mainstream, Colaba Point have created a distinctive style, that should be more widely heard as they add much to the weave of the world of music and it is pleasure to introduce them to you."